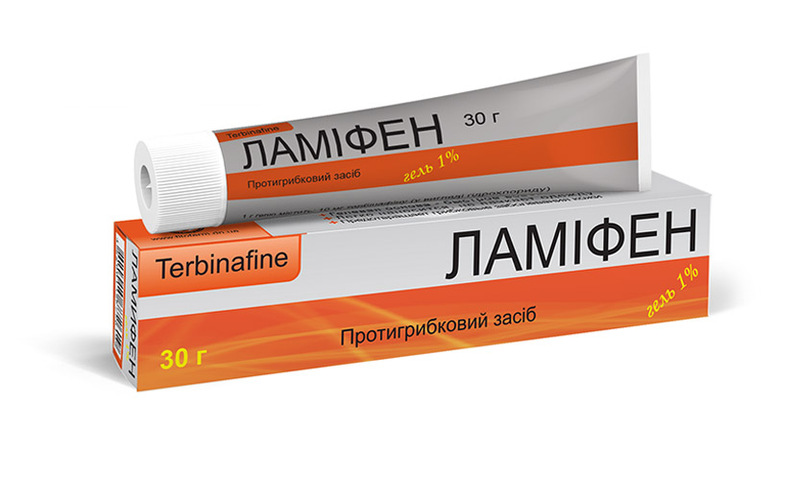 Excipients: fenoksietanolu and etylheksylhlitserinu (in recalculation on fenoksietanol) 10 mg, propylene glycol, isopropyl, Dimethicone, Polysorbate 60, sorbitanstearat, hidroksypropilkrohmalyu phosphate, sodium hydroxide, purified water. Gel. 15 g or 30 g tubes; 1 tube in the pack. Fungal infections of the skin caused by dermatophytes such as Trichophyton (eg, T. rubrum, T. mentagrophytes, T. verrucosum, T. violaceum), Microsporum canis and Epidermophyton floccosum, such as interdigital athlete's foot ( "foot athlete"), Tinea groin ( "jockey itch"), Tinea corporis ( "ringworm"). Motley versicolor caused by Pityrosporum orbiculare (also known as called Malassezia furfur). The duration of treatment depends on the severity of the disease and its course. The gel applied to the skin one time per day. Before applying the gel should clean and dry the affected areas. Gel apply a thin layer to the affected skin and surrounding area and rub gently. For infections involving skin chafing folds (under the breasts, interdigital, between the buttocks, the groin area), place the gel can be coated gauze to cover, especially at night.